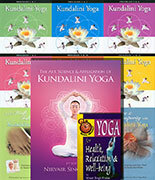 The Morning Practice of Kundalini Yoga - Book + 2 CDs. In world-wide gatherings, beloved devotional singer Snatam Kaur and her fellow musicians have shared that radiance through sacred chants. In her book Original Light, Snatam guides us into the heart of the path, using the daily morning practice of Sadhana as a foundation which leads to a deeper understanding of the tradition's principles and sacred chanting experiences. For centuries, Kundalini, the universal life force, has been shrouded in lore and misconception. However, Snatam shows us that, through Kundalini Yoga, the capacity to experience it is within everyone, providing a natural and limitless source of physical health, stillness, joy, energetic strength, and loving connection, both with others and with all of creation. Snatam shares with honesty and gentle humor her own stories, challenges, “aha” moments, and many practical pointers gained from her lifelong journey. All those seeking a compassionate and supportive guide to the creation of a vibrant and sustainable daily spiritual practice will find it within the pages of Original Light. For those of all faiths and none, Original Light provides an ideal introduction and resource for the improvement of health, the finding of greater freedom and stillness within, and the illumination of each moment of the day. 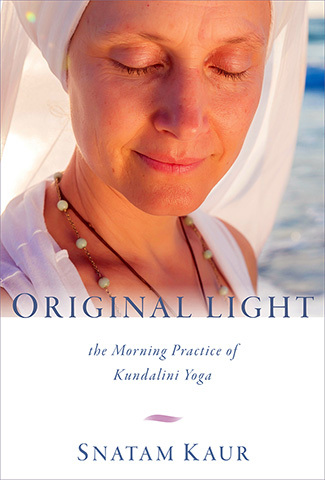 Original Light includes two CDs of guided chants and practices with Snatam Kaur.